Starbucks' (SBUX - Get Report) recent announcement to add three new board members, including Microsoft (MSFT - Get Report) CEO Satya Nadella, former Lego CEO Jorgen Vig Knudstorp and Rosalind Brewer, the former CEO of Walmart's (WMT - Get Report) Sam's Club, came and went with little fanfare to investors. The decision to nominate the three new members, all who hail from different backgrounds and countries, added some of the brightest minds across a range of sectors to the company's board. The move also propelled Starbucks, a holding in Jim Cramer's Action Alerts PLUS charitable portfolio, into the top 97th percentile among the S&P 500 in terms of board diversity, something that has also correlated to successful corporate performance. Studies have shown positive relationships between diversity on boards and improved financial results. A report from Catalyst, a non-profit trying to expand opportunities for women and business, found that companies with the highest percentages of women board directors outperformed those with the least by 53% when it came to return on equity. Companies with the highest percentages of women board directors also outperformed those with the least by 42% when looking at return on sales. Meanwhile, companies with more female executives in decision-making positions continue to generate stronger market returns and superior profits, according to a report from the Credit Suisse Research Institute last year. In addition to better financial results, diversity on boards leads to better decision making, so its no wonder companies including Action Alerts PLUS holding Apple (AAPL - Get Report) have recently been subject of shareholder complaints concerning a lack of diversity at the board and executive level, or that cosmetics maker Coty (COTY - Get Report) recently announced it would add its first-ever woman to its board. "If you have a room full of the same people, they're going to come at it the same way," said Patricia Lenkov, founder and president of Agility Executive Search, which focuses on senior level search and board recruiting. "Groups of diverse people make better decisions," she added. Besides gender and ethnicity, Starbucks also has a range of ages on its board from Millennials to Baby Boomers. In 2011, Starbucks made headlines when it named then twenty-nine-year-old Clara Shih, the CEO of social media marketing management platform Hearsay Social, to its board. "Starbucks is one of the trailblazers in the age diversity realm," Lenkov said. In adding Shih to the board, Starbucks wanted to understand social media, all things technology and Millennials, who are gaining purchasing power, Lenkov noted. Boards should also be reflective of investors, customers and employees. "If you don't see others like yourself, it's hard to aspire," said Coco Brown, the founder and CEO of the Athena Alliance, a non-profit that helps boards become more diverse. To be sure, women also represent half of the consumer and buying power in the U.S., so it makes sense to have them on boards, especially for companies that make products aimed at women. "Understanding the psyche and needs of your buyer is really critical," Brown said. However, the number of women on S&P 500 boards stands at 20.5%, according to BoardEx data. Some European countries, such as Germany, have quotas to improve the representation of women on company boards. "I don't think quotas are the answer. Companies should embrace diversity because that's ultimately better for the bottom line," said Stephanie Resnick, partner and chair of the directors' and officers' practice group at Fox Rothschild LLP. Diversity can also appease shareholders. Last week, a small group of Apple shareholders said the tech giant should implement new policies to resolve the "lack of diversity" among its senior management and board members. Apple's board is 25% ethnically diverse and two out of the eight members are women. Board diversity "is not a handout. It's a business imperative and it's good for business," Lenkov contended. 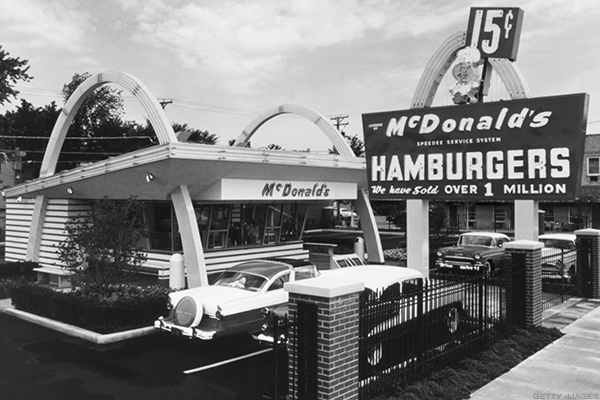 McDonald's oldest location in Downey, Calif. The S&P 500 company with the most ethnically diverse board across sectors was agriculture company Archer Daniels Midland Co. (ADM - Get Report) with six of 12 members an ethnic or racial minority, according to Jan. 25 data from ISS Analytics. Second in the consumer sector goes to tobacco company Altria Group (MO - Get Report) , whose four ethnically diverse members make up 36% of its board, tying it with Starbucks. Oakbrook, Ill.-based fast-food giant McDonald's (MCD - Get Report) , department store operator Macy's (M - Get Report) and home appliance maker Whirlpool (WHR - Get Report) are tied for third place. Each board has four ethnically diverse members who account for about a third of their respective boards. Cincinnati-based Macy's also takes the number one spot when it comes to gender diversity, according to a separate set of data from ISS Analytics. Six women make up half of the company's board. Bolingbrook, Ill.-based beauty retailer Ulta Salon, Cosmetics & Fragrance (ULTA - Get Report) is next with five women accounting for about 46% of its board. Purchase, N.Y.-based credit card company MasterCard Inc. (MA - Get Report) leads the pack with five ethnic minorities making up 42% of its board. Chicago-based bank Northern Trust Corp. (NTRS - Get Report) comes in second place with five ethnic minorities making up 39% of its board. The company provides banking, asset servicing and wealth management. 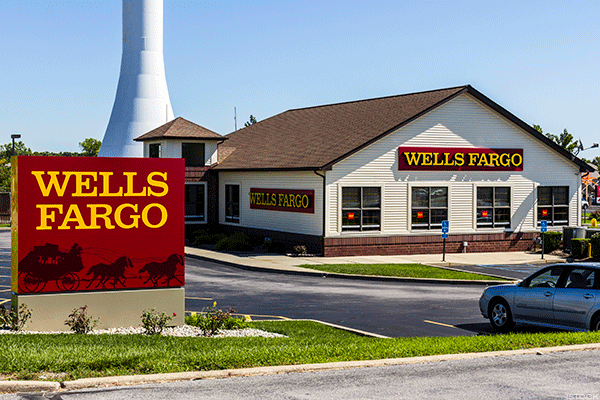 San Francisco-based Wells Fargo Co. (WFC - Get Report) , an AAP holding, also count five minorities, but they make up a third of the bank's board. Wilmington, Del.-based student loan company Navient Corp. (NAVI - Get Report) takes the number one spot for gender diversity with six women accounting for more than half of its board. Wells Fargo comes in second place with six women making up 40% of its board. Hospital products maker Baxter Int'l (BAX - Get Report) is atop the healthcare sector with four ethnic minorities making up 36% of its board. The company is based in Deerfield, IL. St. Louis-based pharmacy benefit manager Express Scripts Holding Co. (ESRX also has four minorities, but takes second place as they make up a third of its board. 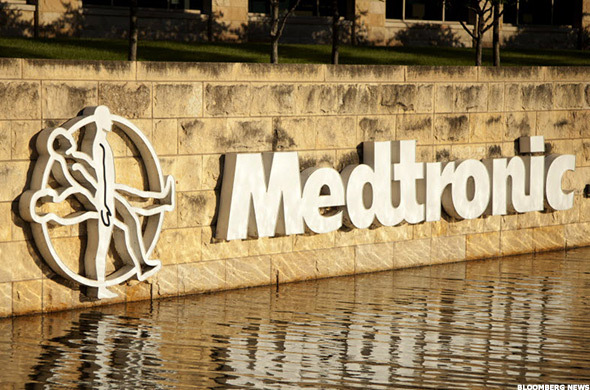 Medical device maker Medtronic (MDT - Get Report) , which is headquartered in Dublin, Ireland, is close behind with four minorities comprising just less than a third of its board. Hologic Inc. (HOLX - Get Report) is the top company in the sector when it comes to gender diversity. The Marlborough, Mass.-based maker of diagnostic, surgical products and medical imaging systems has five women that make up 56% of its board. It has the second-most gender diversity of the entire S&P 500. Boston Scientific Corp. (BSX - Get Report) and Cardinal Health Inc. (CAH - Get Report) are tied for second place with four women comprising 36% of their respective boards. Marlborough, Mass.-based Boston Scientific makes medical devices, while Dublin, Ohio-based Cardinal is a healthcare services and products company. Utilities dominate the industrials and energy sector when it comes to board diversity. 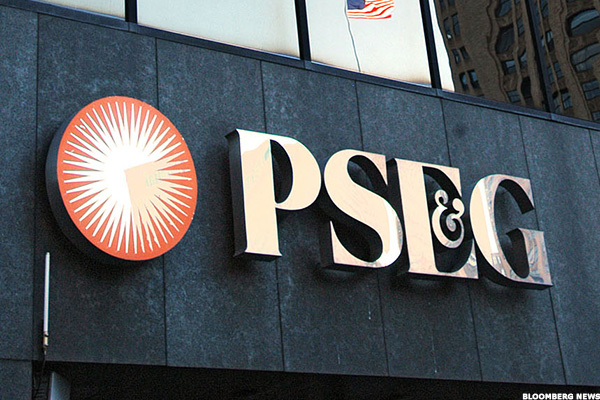 Allentown, Pa.-based utility company PPL Corp. (PPL - Get Report) is in first place for ethnic diversity with four minorities making up 44% of its board. Close behind is Rosemead, Calif.-based electric utility Edison Int'l (EIX - Get Report) , which also has four minorities, but its diversity makeup is 40%. While San Francisco-based electric utility PG&E (PCG - Get Report) has five diverse members on its board, they make up 39%. As for gender diversity, water utility company American Water Works Co. (AWK - Get Report) takes the first place in the sector and across the S&P 500 with the most women on its board. The Voorhees, N.J.-based company's five women make up 63% of its board. Madison, Wisc.-based public utility company Alliant Energy Corp. (LNT - Get Report) comes in second place with five women accounting for 50% of its board. Palo Alto, Calif.-based HP Inc. (HPQ - Get Report) , which sells PCs and printers, is the winner in this category with a total of six ethnic minorities that comprise 46% of its board. Chipmaker Broadcom Ltd. (AVGO - Get Report) , headquartered in San Jose, Calif., follows in second place with four minorities accounting for 40% of its board. IT provider Cognizant Technology Solutions Corp. (CTSH - Get Report) and business services company Xerox Corp. (XRX - Get Report) are tied for third place. 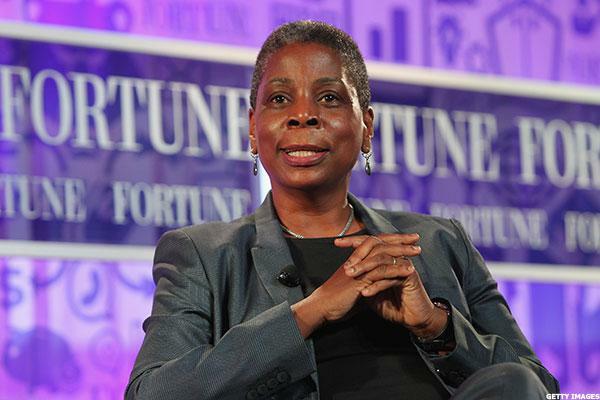 Teaneck, N.J.-based Cognizant has four ethnic minorities that make up 36% of its board, as does Norwalk, Conn.-based Xerox. McLean, Va.-based media company Tegna Inc. (TGNA - Get Report) comes in first place when it comes to gender diversity. The owner of local news channels has six women that make up 55% of its board. New York-based media giant Viacom Inc. (VIAB - Get Report) is a close second with five female board members out of 10.